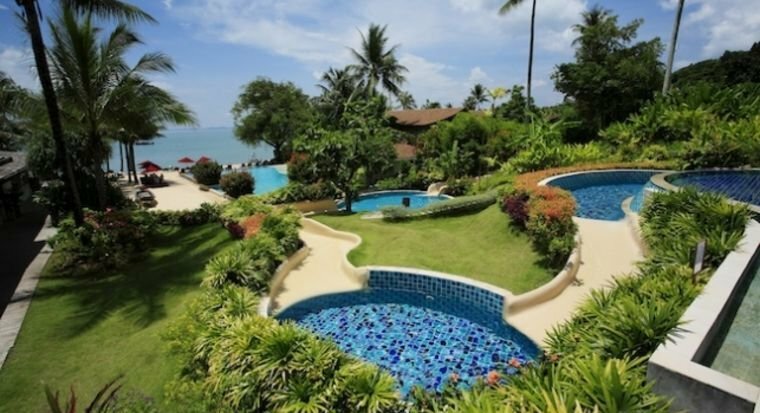 The concept of “escape” from Phuket seems to occupy people’s minds more and more these days. 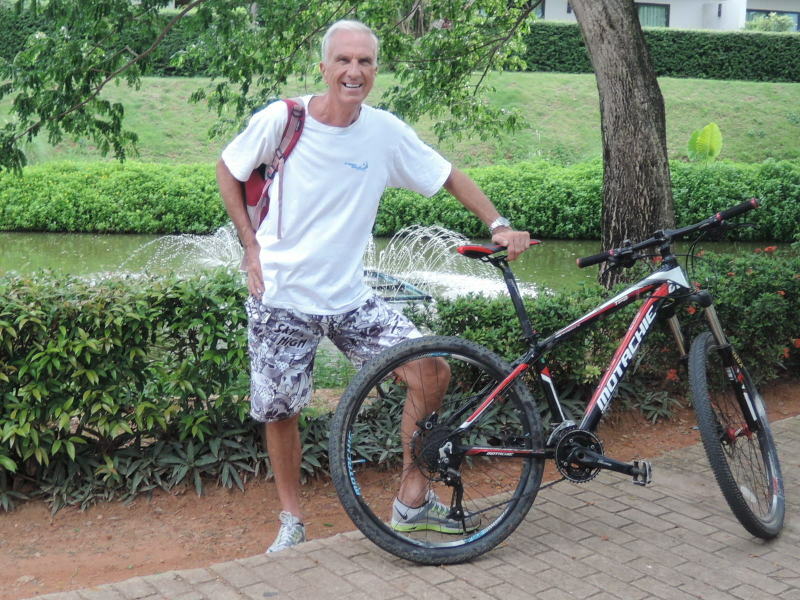 Talking to fellow cyclists and other residents, particularly those with families, the need to find a sanctuary away from the island’s everyday hassles, stress and traffic is constantly mentioned. Baz waits at the dock for the short boat ride to Coconut Island. 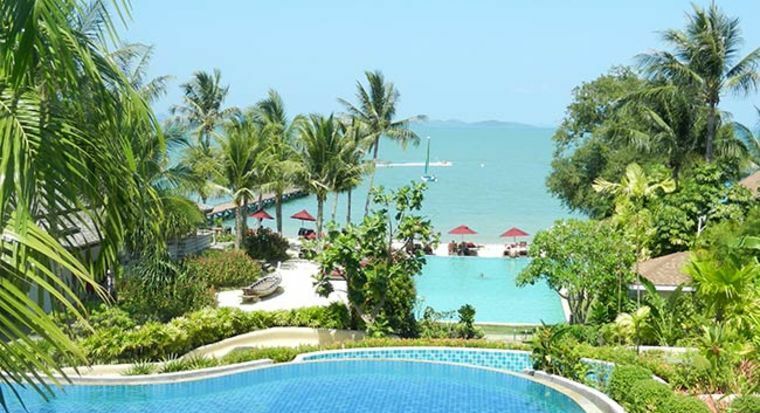 There are spectacular views of Phang Nga Bay from many parts of Coconut Island. 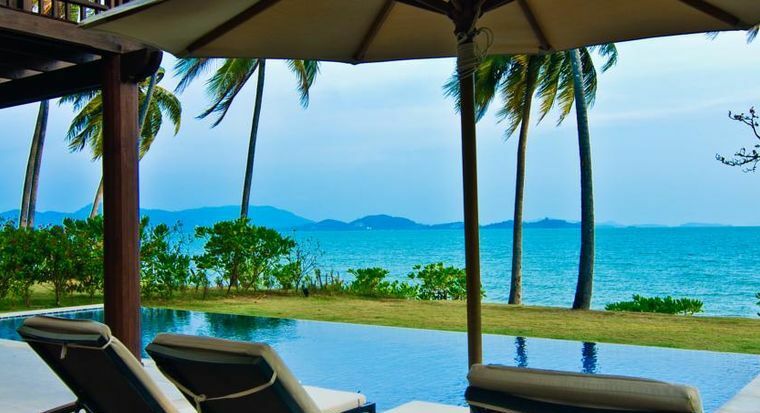 Many mentioned that the work week is also taking an increasing toll on residents of Phuket and so a depressurising and recharging escape to a tranquil location is increasingly sought. This is particularly true of parents with children who seek a safe, healthy oasis where their offspring can romp about outdoors, as nature intended. 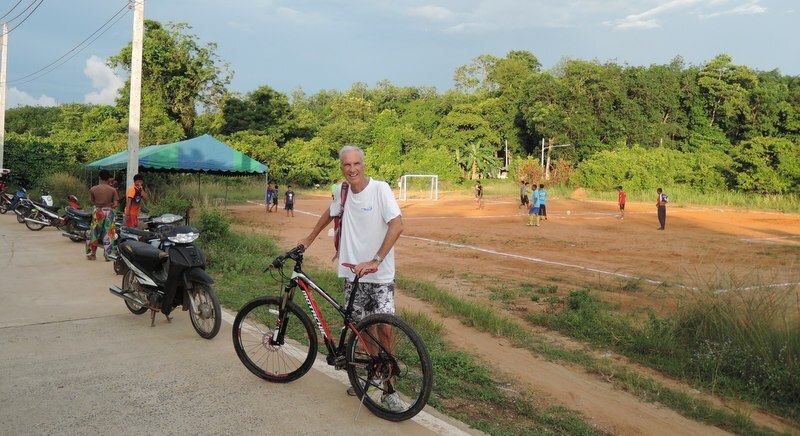 And also of Phuket’s poor, blighted cyclists, who face not only heat and pollution, but continual danger when pursuing their passion for pushing pedals. 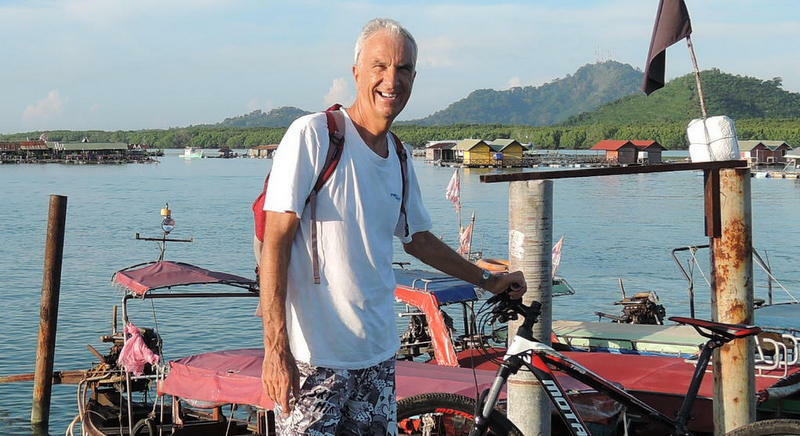 When I heard that The Village Coconut Island on Koh Maphrao offers day passes to locals for just B400 (B200 for children), with bicycles included as an activity option, it sounded exactly the sort of nearby escape that so many Phuketians are craving. Koh Maphrao is a small isle about 2.5 kilometres long and 1.5km wide, located just 500 metres off Phuket’s east coast, near the popular Laem Hin Seafood dining piers a little north of Phuket Town. Koh Maphrao is still rather undeveloped and, amazingly, mains electricity was only introduced in November 2015 – a source of great excitement and rejoicing among the 400 or so Muslim villagers who call the island home. It takes only about five minutes by the Coconut Village’s motorboat service to reach their private pier on Koh Maphrao’s northwest coast. 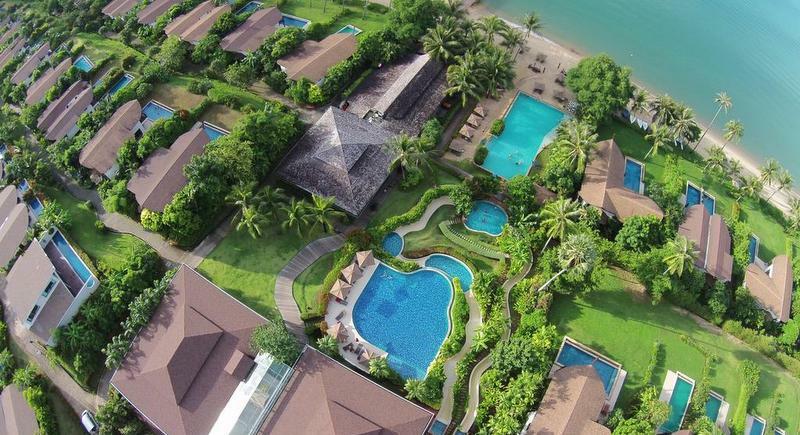 The Village boasts a huge landscape of lush tropical gardens, plus 500m of private beachfront overlooking the dramatic limestone Karst islets etched in the heat haze of breathtaking Phang Nga Bay. 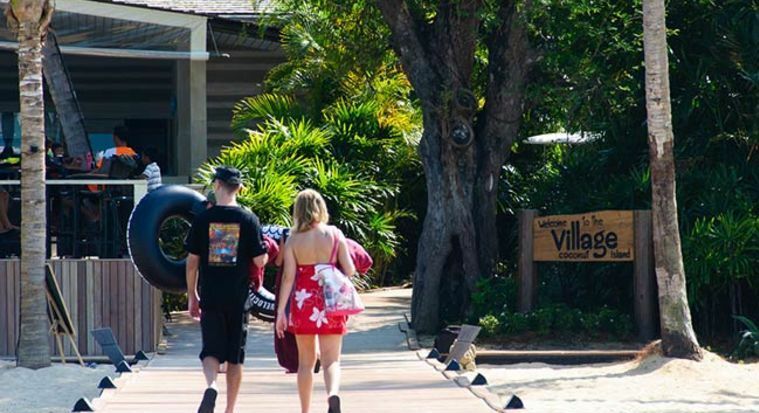 They manage to maintain a laid-back island beach resort style with professional and friendly service, lovely swimming pools, good restaurants, a wonderful spa and lots of both sea and land-based activities to keep you and your little ones enthralled. Coconut Island is roughly rectangular and a good quarter of its southwestern corner is covered with mangrove forest, home to long-tailed macaques, big monitor lizards, and is also a breeding nursery for all sorts of fish. There’s only one paved road through the heart of the island running from west to east, starting at the island’s commercial pier and finishing at a viewpoint in the east coast jungle. 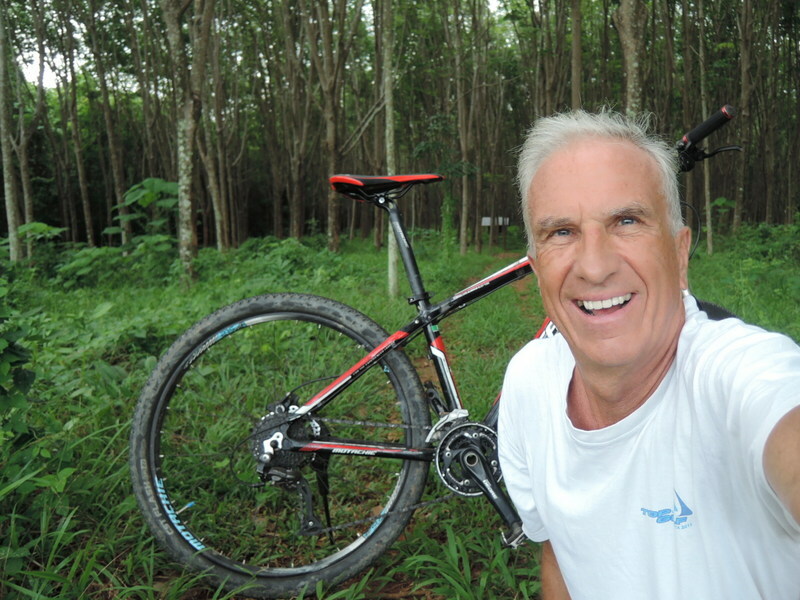 However, there are lots of hilly, rocky tracks through the rubber trees to entertain and challenge the pioneering mountain biker. 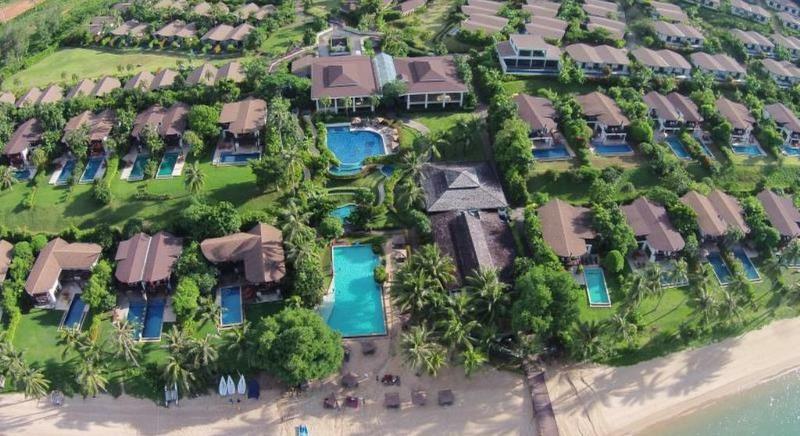 The main village is located on the northern coast, next to The Village resort, and fishing and farming are the two main occupations with rubber trees, as well as local fruit and vegetables grown in the central part of the island. The villagers are very friendly and call out and wave as you cycle past. What an incredible change from Phuket itself and yet you are only 500m distance across the water. There are three easily reachable beaches, the longest one being on the northern coast in front of the Village Coconut Island resort; the second one on the southern coast, where another small resort, Jindarin Beach Club is situated and the third one is a lovely secluded little cove, accessible by bike, on the east coast. In the late afternoon when it had cooled down I cycled to the northeastern part of the island, which is wild and superb with some mountainous forest. The one paved road gradually degenerates into a dirt track which follows the east coast up to its central part, where a crumbling, closed-up bungalow resort with a dilapidated restaurant stands. There are still some people living in this corner of the island – retired Europeans chasing their dream in peace, seemingly far away from it all, but in reality about five minutes by boat from Phuket. This is certainly one of the great advantages of settling here, a retired Aussie couple I met told me. While the island is still unspoiled and undeveloped, it’s only a short drive and boat ride to all the amenities (and hassles) of Phuket. The best of both worlds. Cycling around the hilly eastern part of the island is quite challenging, with steep rocky climbs, but the views to the east are worth it, as on a clear evening like the one I enjoyed, you can see the Phi Phi Islands and even the hazy outline of the Krabi coast. Yet back at the Village’s lovely beachside Tamarind restaurant, as I sat quaffing a cold one, I felt I could almost reach out and touch the lights as they flickered back on Phuket. Koh Maphrao is certainly a delightful place to visit if you’re a cyclist looking to discover authentic local life, and is a glimpse of the past where most of the modern world’s travails have yet to arrive. And yet it’s only a five minute boat ride away!